"My husband, Henry Wise, wrote a review. I am uploading some pictures!" "Tony Mas is the best guide I have ever had in my years of travellilng. He was very..."
"What a fantastic trip. We had 11 people from all over the world. Camilo could not..."
"Awesome tour!! We had the best CEO, Nadya, such a sweet girl and always willing to..."
"The whole trip was well organized. We had the chance to discover The Best! 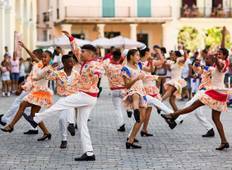 of Cuba,..."
"Thoroughly enjoyed this active tour of Cuba. Roger was a brilliant guide - good fun,..."
"What a great trip! Boat was excellent, food very special and guide and group a pleasure..."
"I can only say one thing: WOW ! 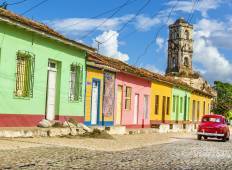 It was my fourth time in Cuba (each year with a different..."
"Our guide, Roger (? sp. ), was knowledgeable, had a lovely sense of humour, and was..."